Collage Stuff chipboard books are available in 4" x 4" and 6" x 6" styles. 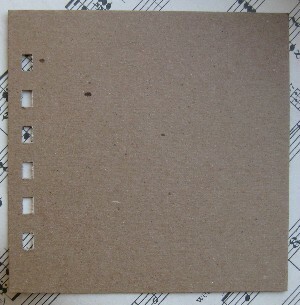 The chipboard is 0.022 in a brown kraft color, the same as the ATC chipboard blanks. Acrylic front and back covers are available. The acrylic covers are rigid and crystal clear - about 1.5mm thickness. 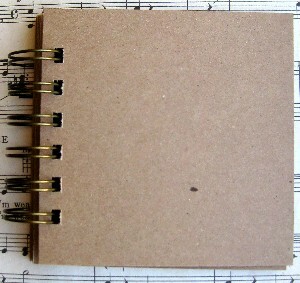 The 4" x 4" books are bound with a 3/4" binding. The 4" x 4" books with the acrylic cover and all 6" x 6" books are bound with a 1" binding. Binding is available in black or antique brass. Looking for chipboard pages? 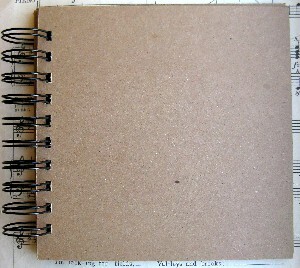 Chipboard pages are available in 4" x 4" and 6" x 6". They may be purchased with or without binding holes. Need a custom size (up to 8.5" x 11") or a different binding color? Contact me! 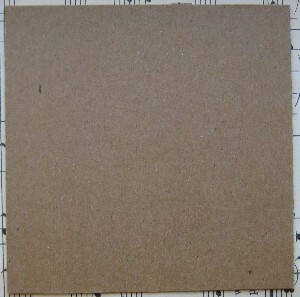 Chipboard pages, 10 per pack, Price $2.99 for 4" x 4", $3.49 for 6" x 6". 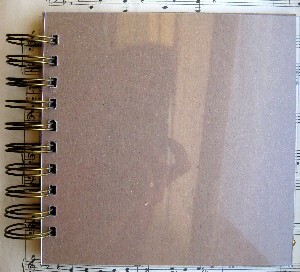 Chipboard pages with binding holes, 10 per pack, Price $2.99 for 4" x 4", $3.49 for 6" x 6". 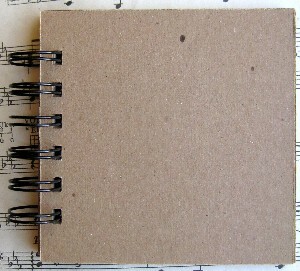 4" x 4" chipboard book with black binding, 10 pages, Price $3.99 without acrylic covers, Price $5.49 with acrylic covers. 4" x 4" chipboard book with antique brass binding, 10 pages, Price $3.99 without acrylic covers, Price $5.49 with acrylic covers.